With Ben Affleck officially retired from the role of Batman, everyone wants to know who the new Batman actor will be. UK bookmakers William Hill think it will be Jake Gyllenhaal or Oscar Isaac, but Black Panther's Michael B Jordan and Game of Thrones' Kit Harrington are also rocking some decent odds. Longer shots from the bookie are Bodyguard's Richard Madden, who is also tipped for the new James Bond; Tom Hardy - who seems extremely unlikely given his turn as Bane; and Venom villain Riz Ahmed. 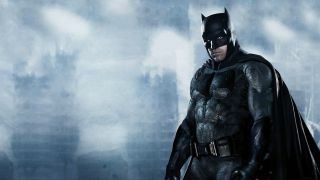 We asked the real experts, our writers, for their suggestions for the next Dark Knight, and got some surprising answers. Suave, intense, and intimidating; those three words could comfortably sum up either the Batman or Jon Hamm. Such qualities are the latter’s calling-card in almost every role, making him the perfect candidate for billionaire vigilante Bruce Wayne. Because the Caped Crusader isn’t just a brawler or detective - he’s a whip-smart businessman with a taste for excess as well. Although this hedonistic lifestyle is an act to throw others off his scent, it’s still a crucial part of Batman’s character that’s easy to overlook. Luckily, Hamm has a proven track-record in this arena: he personifies Wayne’s brooding yet classy swagger. His turn in Baby Driver also shows that he’s capable of seething fury as well. The gangster he played in Edgar Wright’s film was a vengeful, unstoppable force with single-minded focus. Sound familiar? Got your own suggestion for who should get the keys to the Batmobile next? Let us know on Twitter.